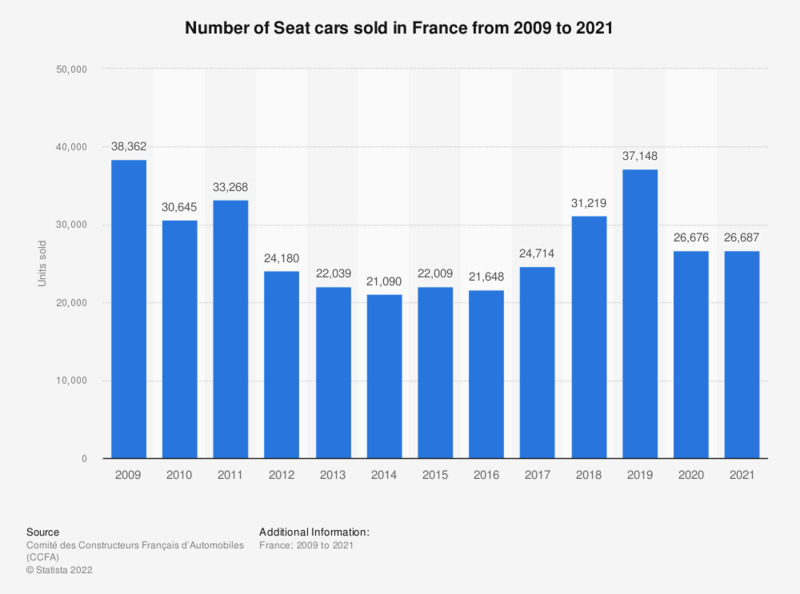 This statistic shows the number of cars sold by Seat in France between 2009 and 2016. French sales of Seat cars declined over the period from 38.4 thousand units sold in 2009 to just about 21 thousand cars sold in 2014. In 2016, Seat sold 21,648 cars in France.